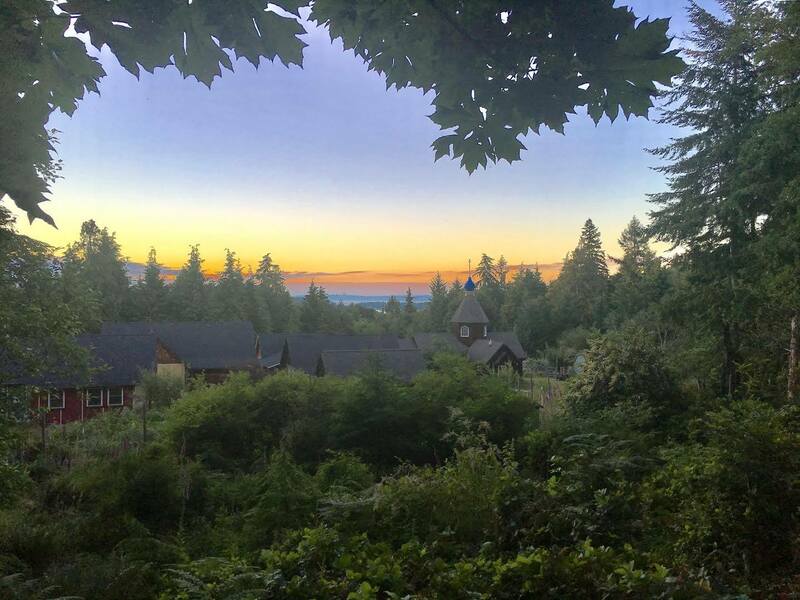 The Brotherhood of the All-Merciful Saviour was founded in 1986, and two years later came to the Pacific Northwest to establish a monastery on Vashon Island, Washington. Eastern Orthodox monastic communities can vary in size from a few monks to hundreds or more, as are often found in Greece, Russia and other Orthodox countries. After acquiring property for a permanent monastery the monks went about establishing a premium coffee company as a means of supporting the monastery's building program and meeting the monks' modest financial needs. Slowly over time as the monastery grew other handicrafts were able to be made available, and a monastery gift shop for visitors and pilgrims was able to be established. All of these works are seen as a means to support the primary work of all monastics, which is living a life of spiritual contemplation, repentance and prayer. For more information, please feel free to take a look at our WEBSITE, or check us out on our FACEBOOK page.